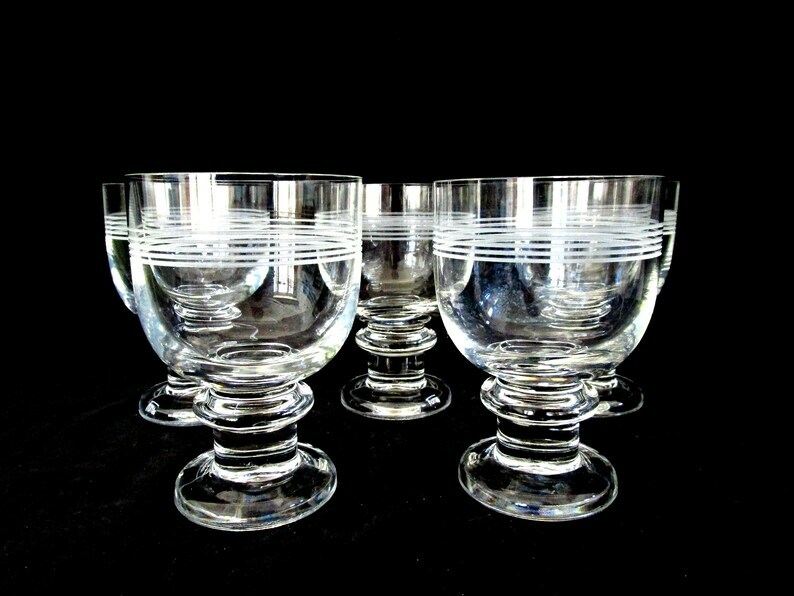 Very handsome set of etched crystal lowballs marked Thomas for Rosenthal, Trend Pattern. Deep etched stripes surround the upper portion of the fine crystal, and although these are what I would call lowball in capacity or size of the bowl, they are sitting on a squat and stout pedestal in the Trend pattern. All five are in great condition, absolutely no chips or cracks. Each measures 4 3/4 inches high and the diameter is 3 3/4 inches at the top lip. This is a handsome and striking set, you will not be disappointed.